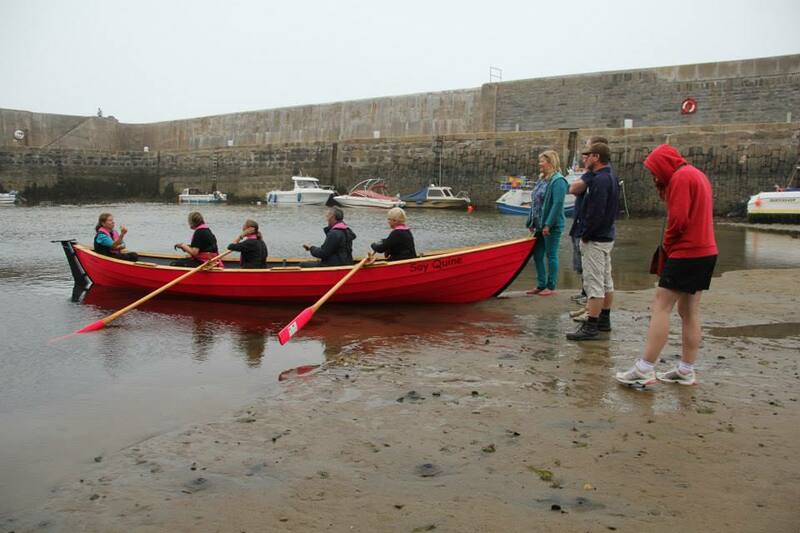 Welcome to Collieston Offshore Rowing Club! 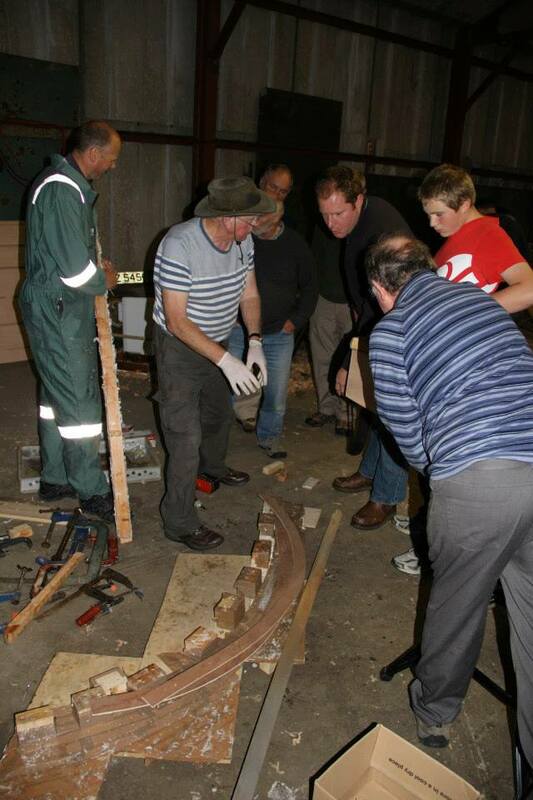 At the moment the club meet every Wednesday, at 8pm, in John and Rachel Hitchcock’s garage, building the boat. 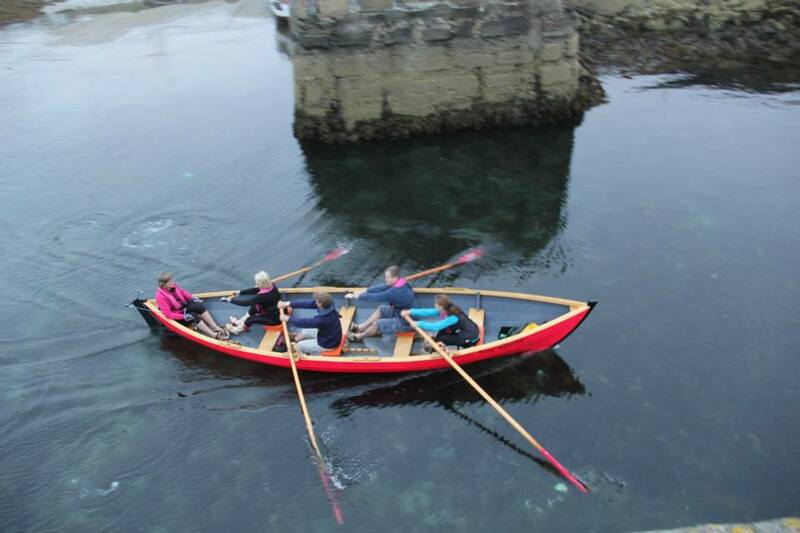 The club has also just started sessions on Saturdays, at Peterhead, to learn to row these skiffs! For more information call John on 751323. 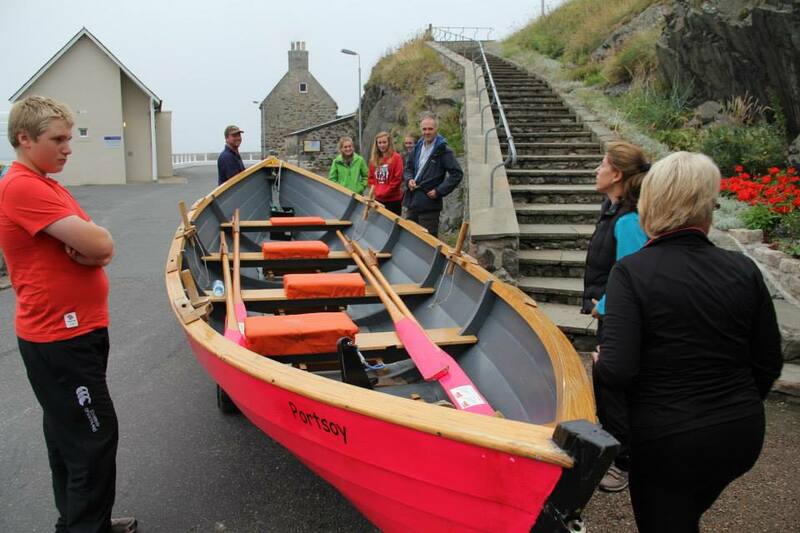 Below are pictures which were taken on the September trip to Portsoy to see how the boats are made and to have a go!!! 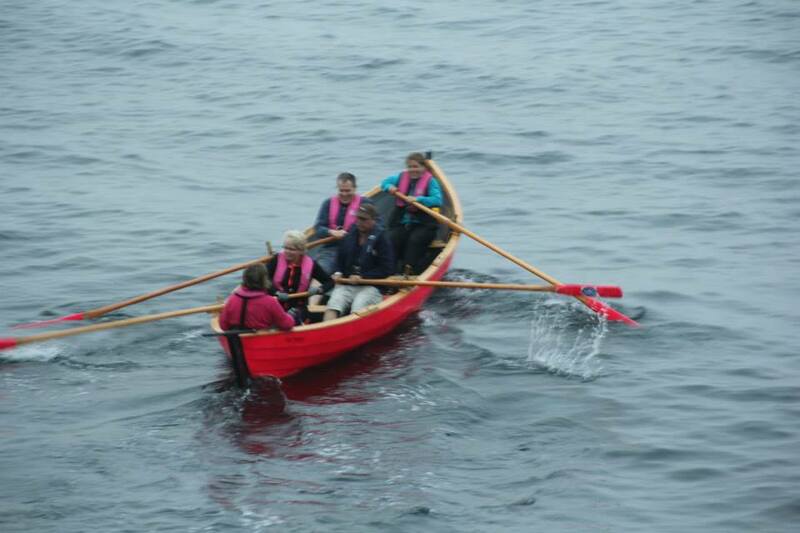 How the skiff is built! 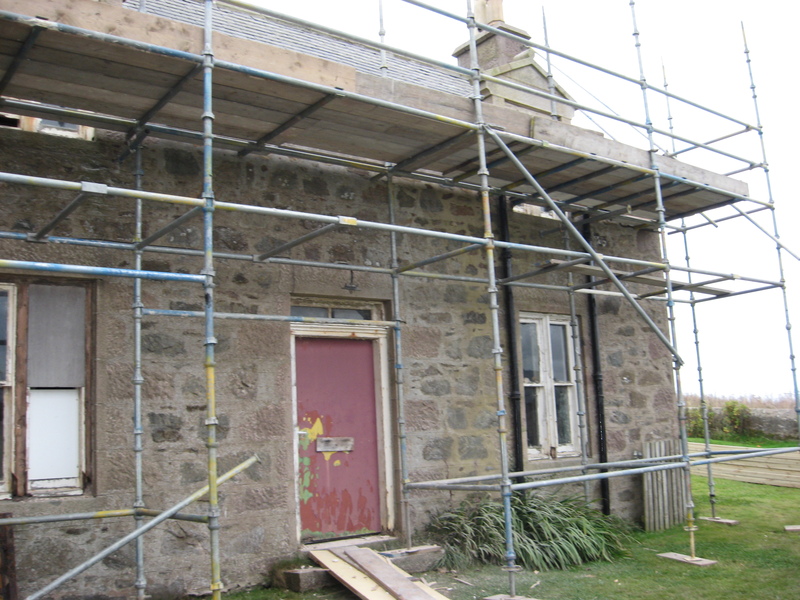 The work continues inside and out in the old Schoolhouse. 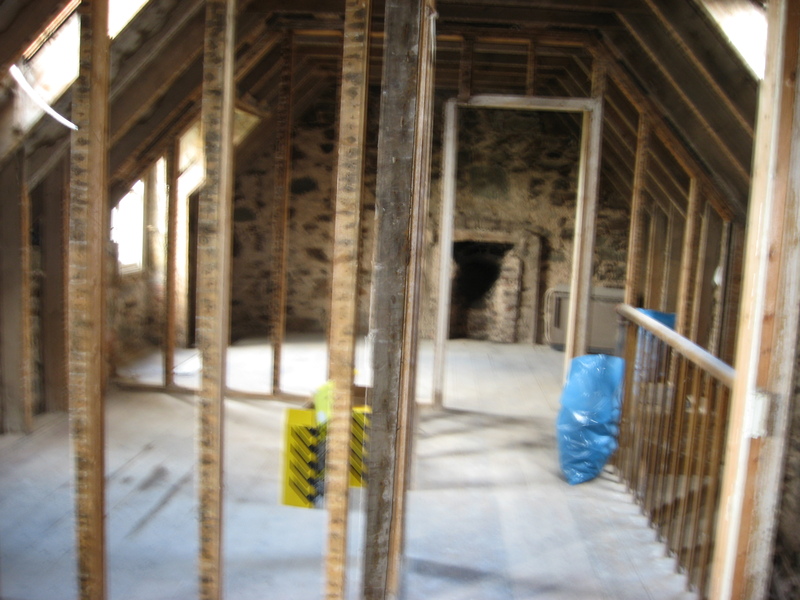 Preparations for roof repairs and new Velux windows. 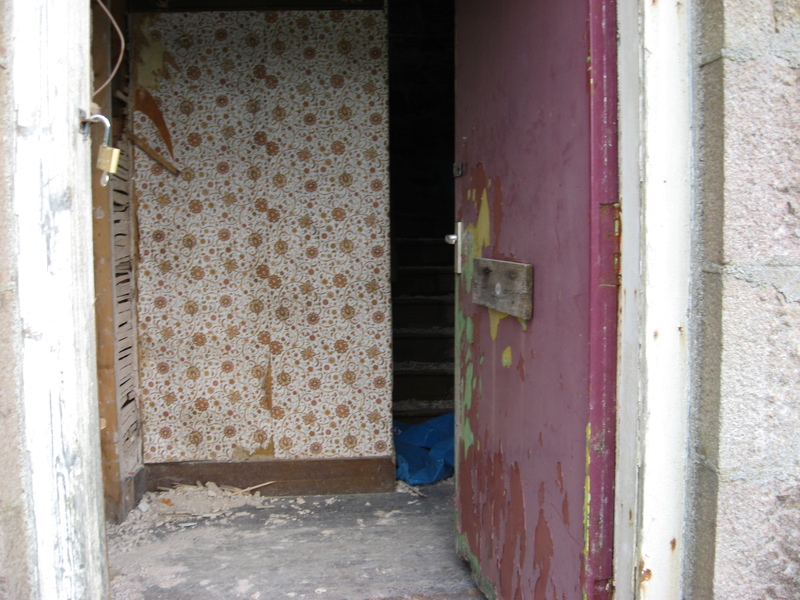 The old kitchen and scullery will become a store for equipment. 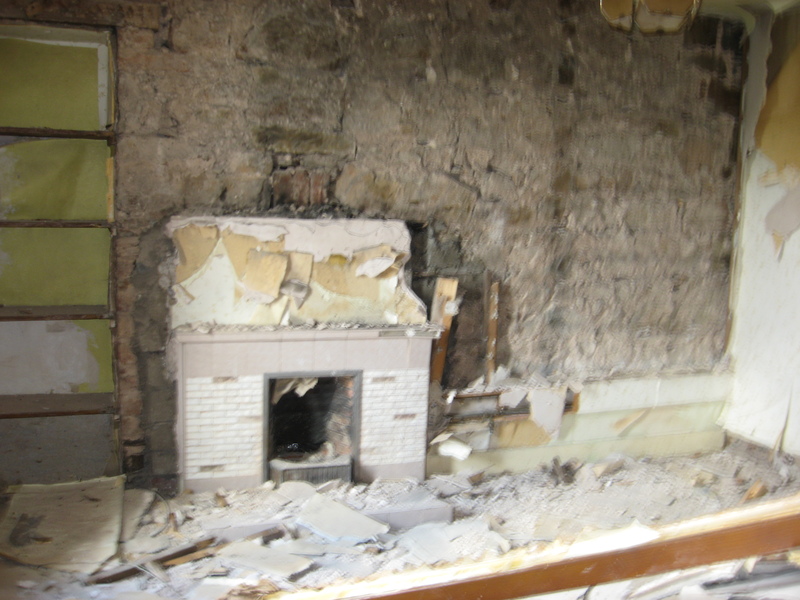 Work continues to take down the old lath and plaster from the walls in preparation for the refurbishment. 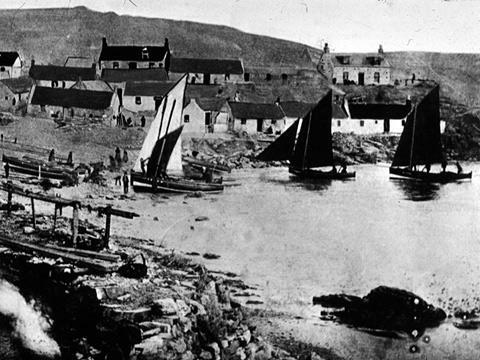 A productive meeting today between Community Council representatives, KW Contractors and Abdeenshire Council officers discussed the next steps for the project. We have learned that the break through from the Hall into the house will require three steps as the house is lower than the hall. The steps will be on the house side. We have asked for the opened up area to be as wide as possible to make the maximum use of floor space. We have also asked for concertina type doors between the two areas, both for safety – particularly for playgroup use – and to allow for seperate meetings or activites to run concurrently. 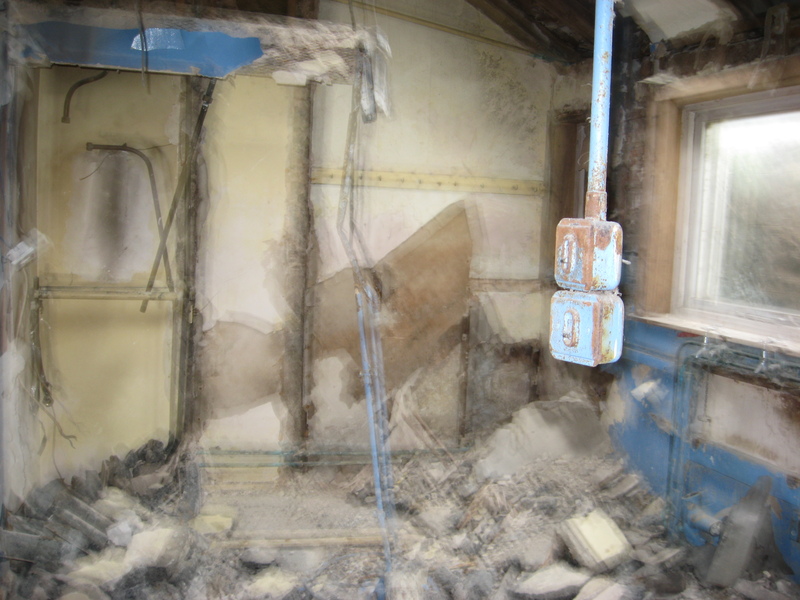 The break through will be one of the last tasks in the project, allowing for activites to continue in the hall for as long as possible. 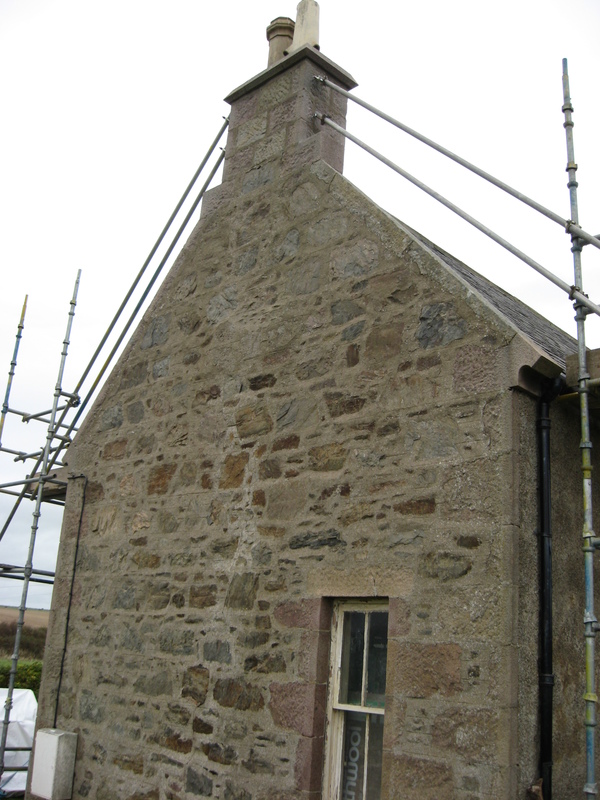 A few things have to be clarified, including whether the granite shed at the back is to be repaired and insulated, whether new flooring for the hall is to be included and also if a toilet and washbasin will be installed in the old bathroom area. 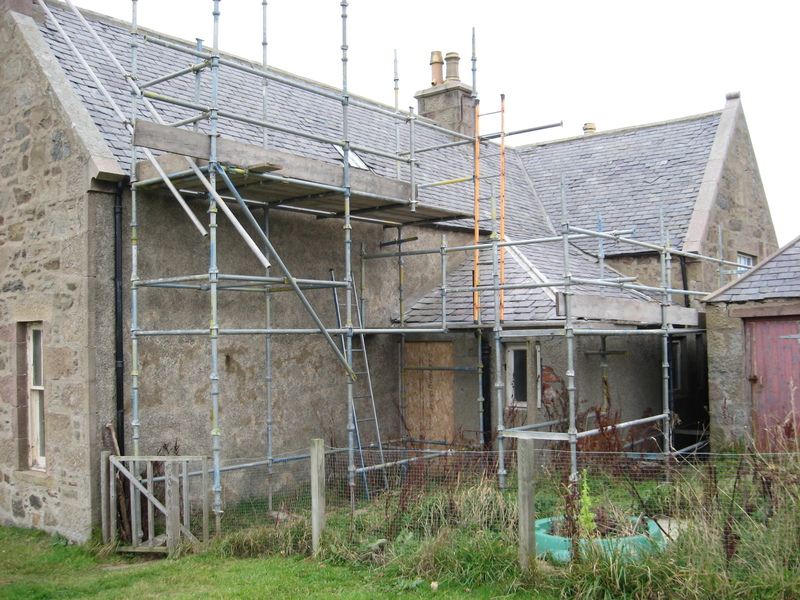 Scaffolding will be erected sometime next week, meaning the garden will be out of use for the time being. The whole project is expected to be completed by Christmas. The front door of the house will have a slabbed path leading up to it. 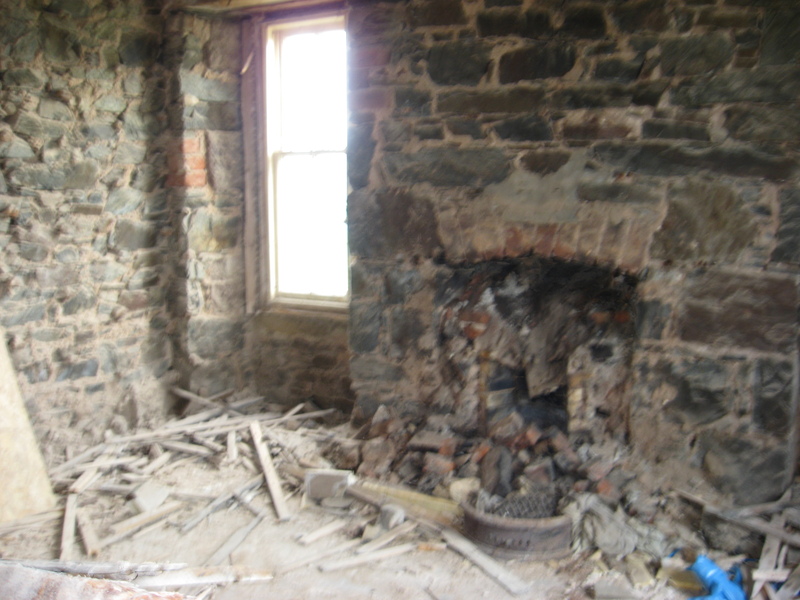 The old sitting room will become a meeting room.